BULANGE – Buganda Kingdom has warned the government that continued brutality and torture of Ugandans will create more resistance and violence from the citizens. 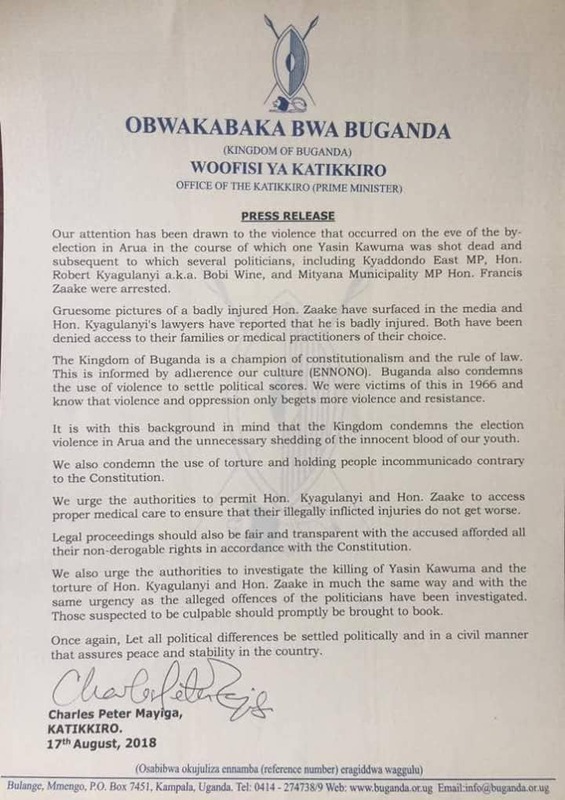 “Violence only begets more violence and resistance,” reads in part a strongly worded statement issued by the Katikkiro, Charles Peter Mayiga, on Friday. The cultural institution condemned the torture of Kyadondo East MP Robert Kyagulanyi aka Bobi Wine and Mityana Municipality MP Francis Zaake by security agencies following the violence that erupted at the tail end of the campaigns in Arua Municipality parliamentary by-election on Monday. “Gruesome pictures of a badly injured Hon. Zaake have surfaced in the Media and Hon. Kyagulanyi’s lawyers have reported that he is badly injured. Both have been denied access to their families or medical practitioners of their choice,” Mayiga’s statement reads in part. “The Kingdom of Buganda is a champion of constitutionalism and the rule of law and condemns the use of violence to settle political scores. We are victims of this in 1966. It is with this background in mind that the kingdom condemns the election violence in Arua and the unnecessary shedding of the innocent blood of our youth,” he adds. 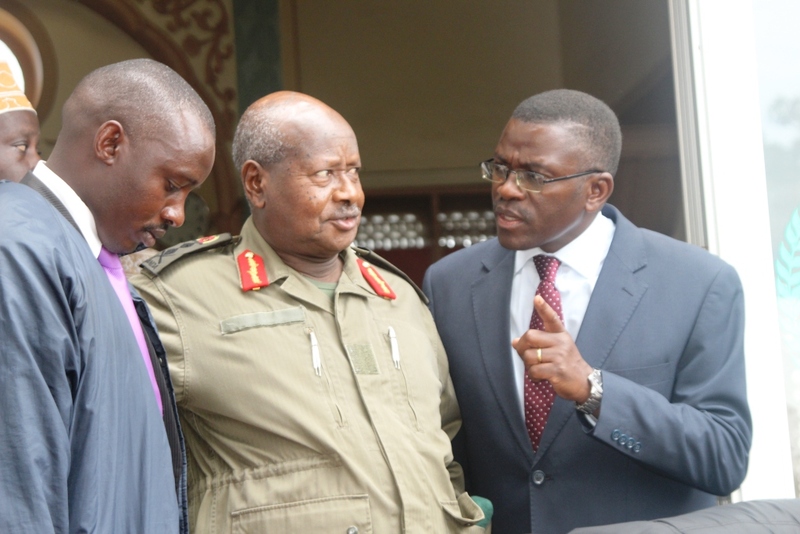 The Katikkiro also condemned the shooting dead of Bobi Wine’s driver Yasiin Kawuma and demanded that those responsible be brought to book. He also called for fair and transparent legal proceedings in who the accused’s constitutional rights are respected.